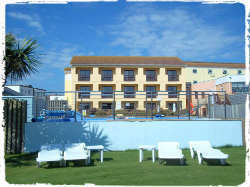 Sands Resort Hotel & Spa is situated one mile north of Newquay and enjoys stunning views of the Atlantic Ocean. Porth beach and Watergate Bay are both only a short walk away. The Sands Resort Hotel was recently voted one of the best family friendly hotels in the UK. Having explored some of its child and parent-friendly features, at Parent Friendly Stays we’d be inclined to agree! The hotel has a variety of room configurations to suit families including suites; the largest of these (the apartment suites) can sleep up to two adults and five children, with three bedrooms and a lounge. Family suites provide kids with their own space and have a TV, DVD, chill box and kettle. There’s also the option of a baby listening service, and on request the hotel can also supply bottle warmers and sterilizers. To give you an idea of prices, a family suite for two adults and two children with sea views during August on a ‘dinner, bed and breakfast’ package costs around £93.50 per adult per night, with discounted rates for children; so a week at peak season for a family of four with 2 children under 3 start from £1600. Given your meals are included and the number of child and parent friendly facilities on site, we don’t think that’s a bad deal at all. Short breaks are also available, often at special rates out of season; for example, at the time of writing, you could have a two night stay for a family of four between March and May including dinner and breakfast for £279. The Sands resort is undoubtedly designed with children in mind and you can be guaranteed there will be plenty to keep your little ones occupied. The hotel is only a five minute walk from the beach, perfect for your daily family seaside swim; and helpfully it’s possible to hire wetsuits and body boards as well as buckets and spades for free. The hotel itself has an indoor pool if your children would prefer a splash without the waves; there’s also an outdoor splash and children’s fun pool. 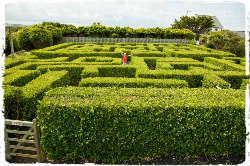 The hotel has numerous other child-friendly entertainment options including tennis, table tennis, a maze, a nine-hole pitch and putt golf course, basketball, mini-golf, football, croquet, a climbing wall, zip wire, bouncy castle and soft play area for toddlers. There’s no chance your children won’t sleep after a go at all those activities! The hotel also offers plenty of child-friendly meal options including children’s high tea. 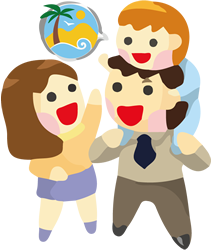 Because it’s your holiday too, Sands has lots of parent friendly facilities. As mentioned above, there’s a free baby listening service so you can enjoy a relaxing meal or drink without the children (and the restaurant has child-free areas too). To make your life easier you can hire cots and cot linen, prams, kiddie carriers, bottle sterilisers and bottle warmers completely free of charge. To give you a proper chance to relax, the hotel has an Ofsted-approved creche for children aged 0-2, and there’s a kids’ club which runs three daily sessions offering a range of activities for babies, toddlers and older children alike. Perfect if you fancy a relaxing visit to the hotel’s very own gym and spa?! The hotel also offers free WiFi, though be aware that the owners say the connection isn’t entirely reliable. 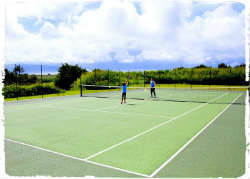 To sum up, at Parent Friendly Stays we really do think that the Sands Resort Hotel deserves the title of a family friendly Cornwall holiday, and with a beach on your doorstep and numerous on-site activities for both children and adults alike, you’re bound to have an enjoyable family holiday. 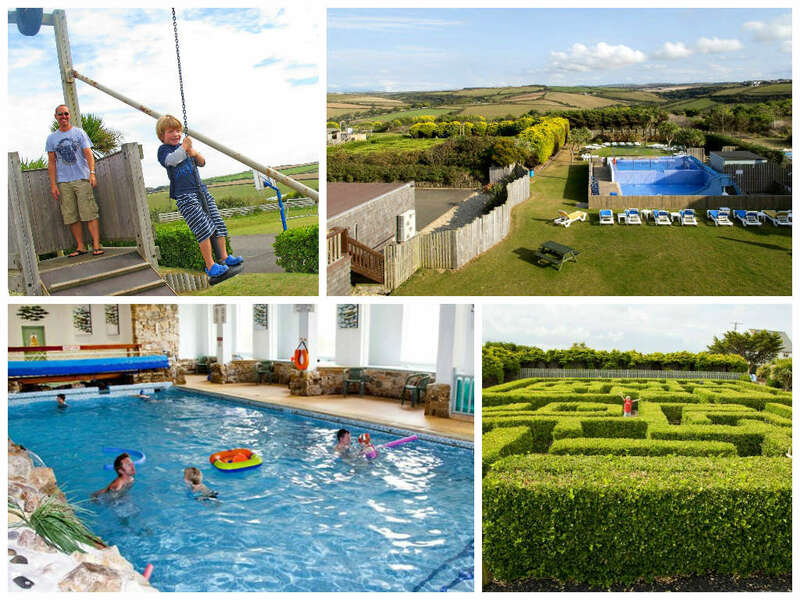 “Whilst many hotels declare themselves family friendly, at Sands we can really live up to that statement with unrivalled facilities and services to make your children happy and give you the relaxation you need as a parent when on a family friendly holiday with children in the UK. If you’d like to find out more about family friendly holidays at Sands Resort Hotel & Spa, including booking and availability enquiries, just fill out the form below.